ISO originally referred to the sensitivity of film—it's "light gathering" ability. The higher the ISO rating, the greater the film's ability to capture images taken in low light. High ISO film was called fast film—it required a shorter exposure than a low ISO film. For digital photography, ISO refers to the sensitivity—the signal gain—of the camera's sensor. The ISO setting is one of three elements used to control exposure; the other two are f/stop and shutter speed. In most cases manually setting the f/stop and shutter speed, or using one of the camera's automatic exposure controls (aperture- or shutter-priority, for example) is all you'll need to do. But when the situation calls for a shallow depth-of-field and, thus, a wide lens opening, and/or a fast shutter speed, that combination may not allow enough light to reach the sensor. Or, in the case of photographing a concert performance, the widest lens opening and slowest hand-holdable shutter speed may not enable enough light to reach the sensor. The solution for both instances: boost the ISO to increase the sensor's sensitivity to light. With film cameras, using a higher ISO film, such as ISO 400 to 1000, often resulted in noticeable grain. With digital photography, the equivalent is noise. 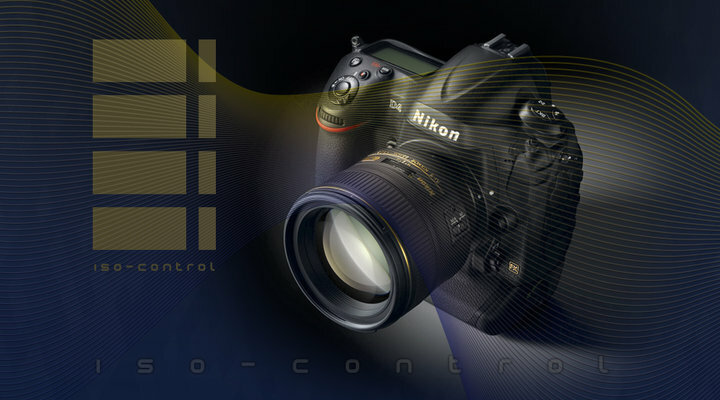 Fortunately, many Nikon D-SLRs, using Nikon's EXPEED image processing concept, are capable of image capture at high ISO settings—800, 1600, 3200 and even higher—without noticeable noise. So don't forget that along with f/stop and shutter speed, ISO is an important element of exposure control. For digital photography, ISO refers to the sensitivity of the camera's sensor. The ISO setting is one of three elements used to control exposure; the other two are f/stop and shutter speed.